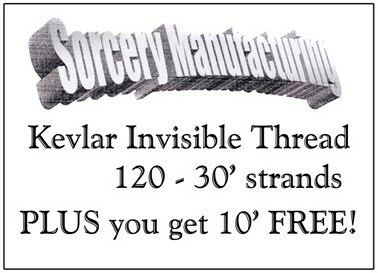 This very fine invisible thread is perfect for the professional thread magician. This thread is twice as strong as traditional thread, and it is much better for fluorescent lighting. This thread is perfect for close-up or strolling magic and is incredibly fun to perform with. Community questions about Kevlar Thread 40 ft.
Review Kevlar Thread 40 ft.